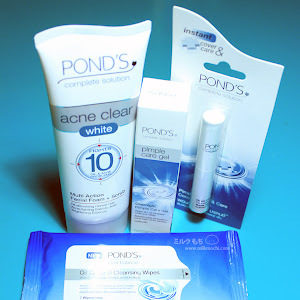 First impression, the packaging is totally remarkable! 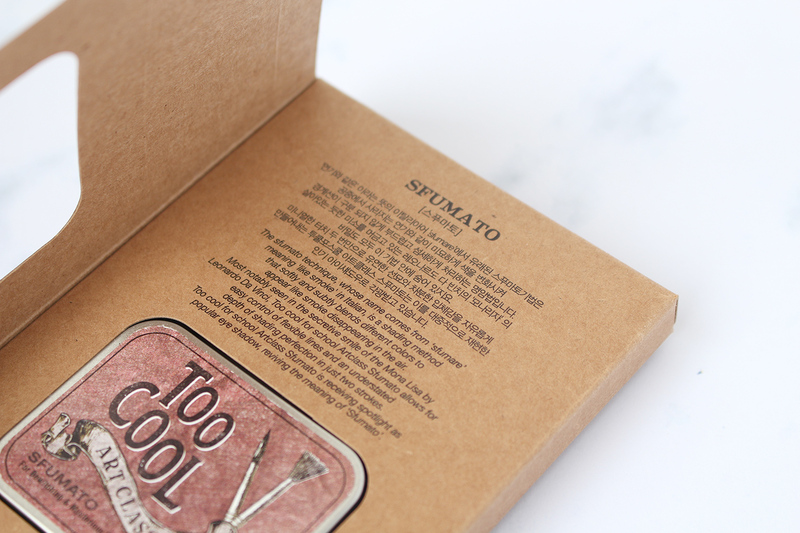 This Sfumato eyeshadow comes in a vintage tin packaging and wrapped into a big cardboard box which shaped into a book with a cutout to place the eyeshadow inside. 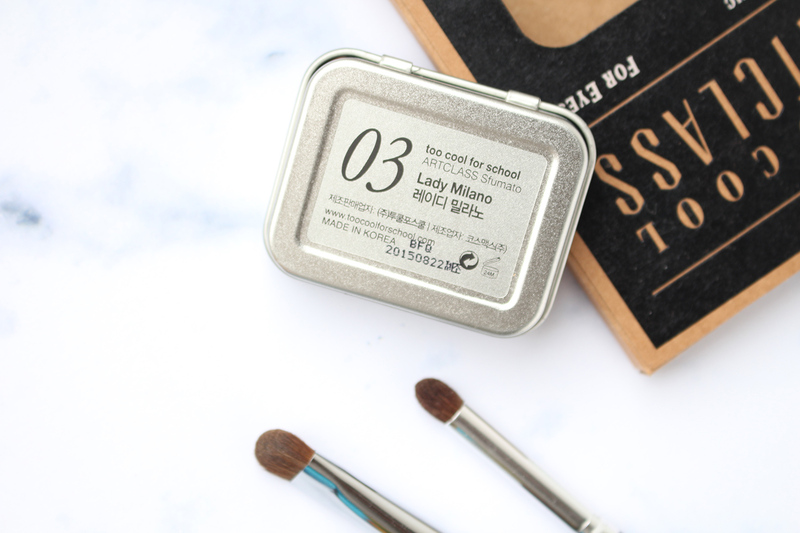 The tin packaging kinda reminds me of watercolor pans. 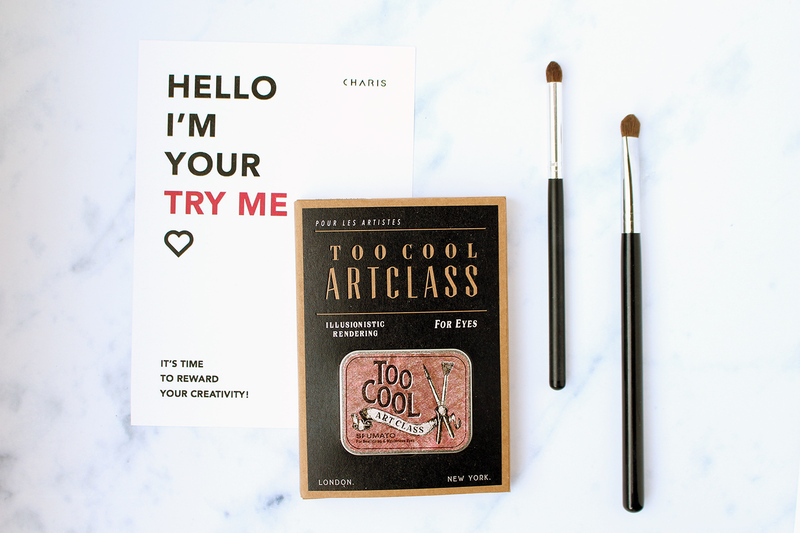 Judging from product naming, I think Too Cool for School was inspired to create an artsy feel into these eyeshadow range. 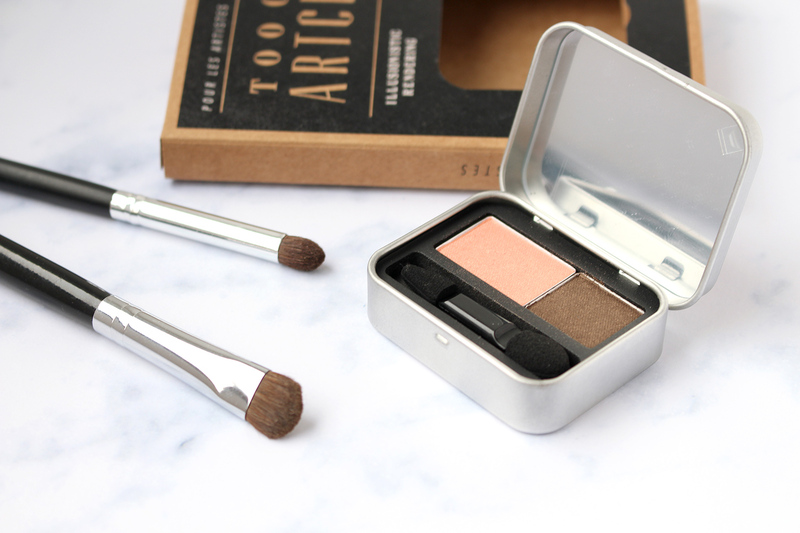 Too Cool for School Art Class Sfumato is basicly a duo eyeshadow and available in five different shades. 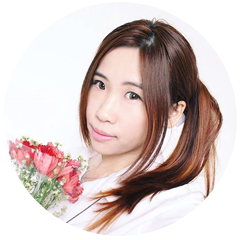 I would say all the color selection are quite neutral and easy to work with even for beginners, as you can expect from korean cosmetics. 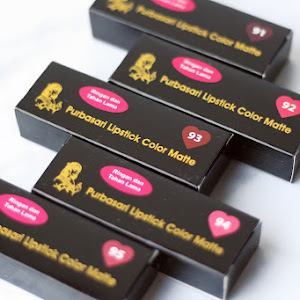 I got mine in shade 03 Lady Milano which consist of beautiful shimmery peachy pink and dark brown color. 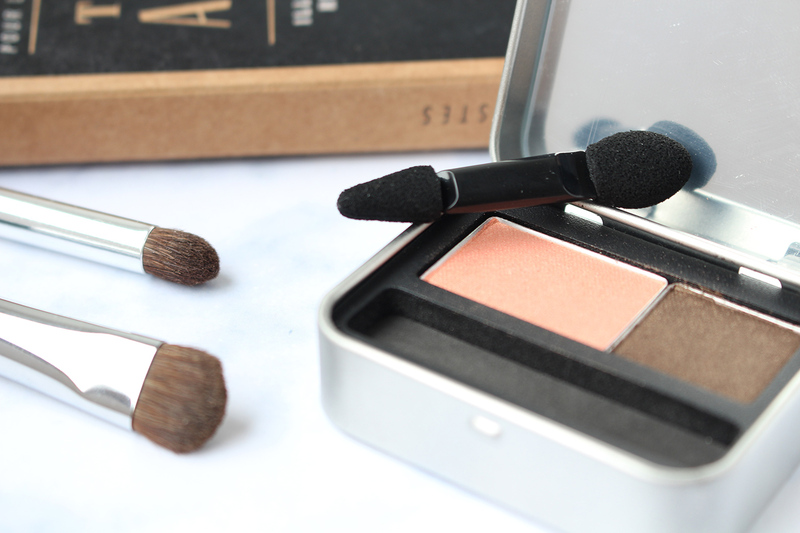 They also included a sponge eyeshadow applicator with two different tips, one is the usual sponge applicator while the other is a bit pointy. This pointy tips would be helpful if you need precision application, let's say for the crease area or lower line. 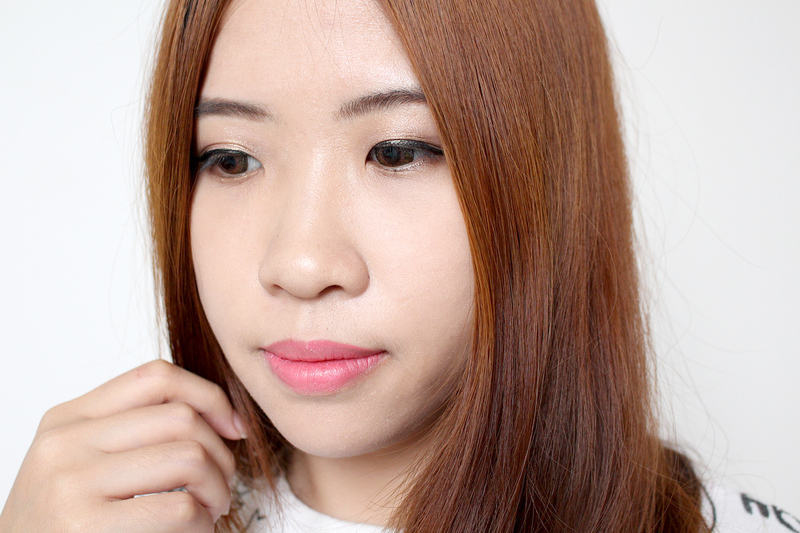 I decided to test on the color pigmentation with and without eyeshadow base. 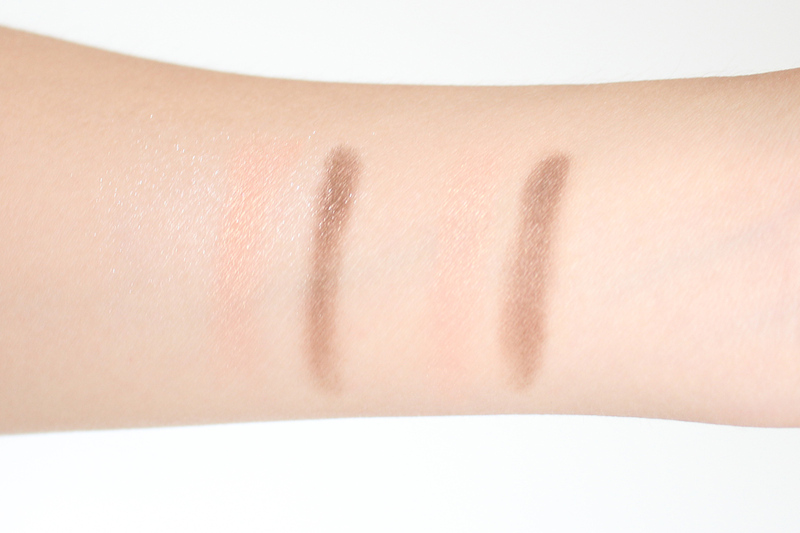 The pink color shows up better with eyeshadow base while the dark brown color is bold enough even without any base. 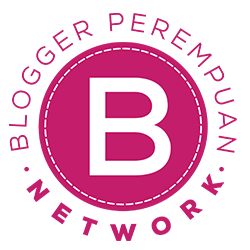 These colors are very easy to work with and you couldn't go wrong with these colors. Pink color on all over the lids and dark brown color on the crease. 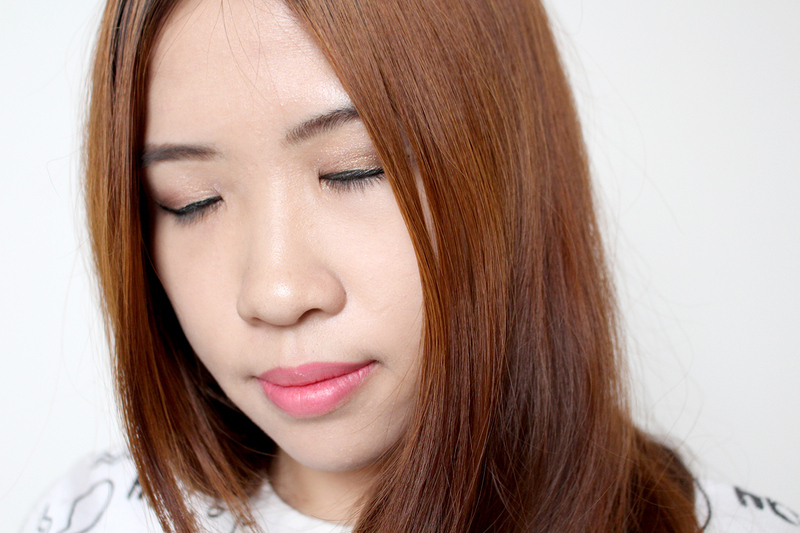 You can also add more brown color on half lower lash line to create a bigger eye illusion. I also didn't experience any crazy fallouts which is another good point for this eyeshadow. 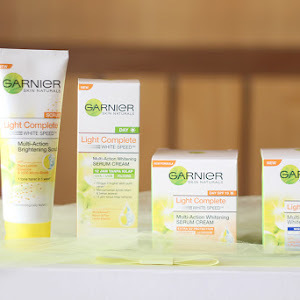 The shimmers are quite subtle and beautiful as it help to make your eyes appear more lively. 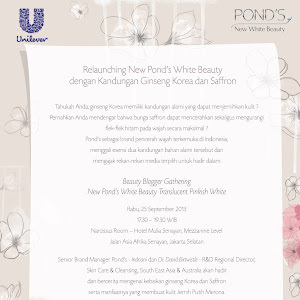 It is a great option for the beginners or those who loves natural korean makeup look. 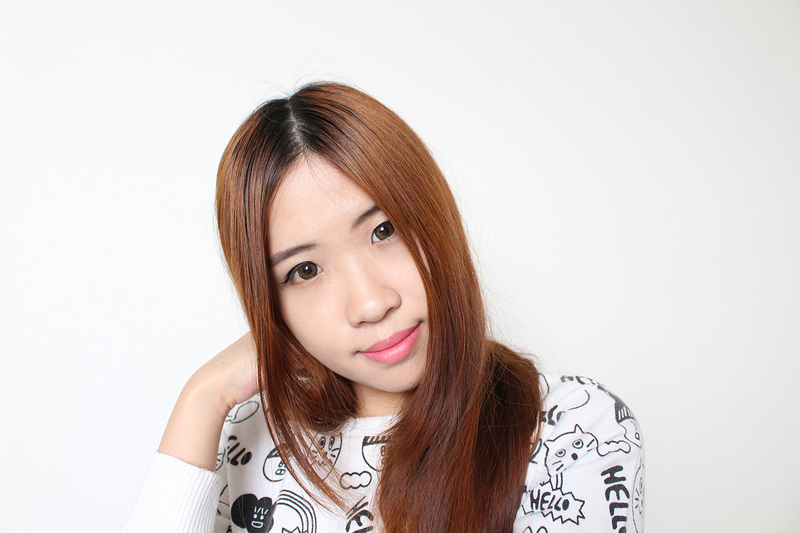 I decided to complete the whole look with eyeliner and pink liptint. 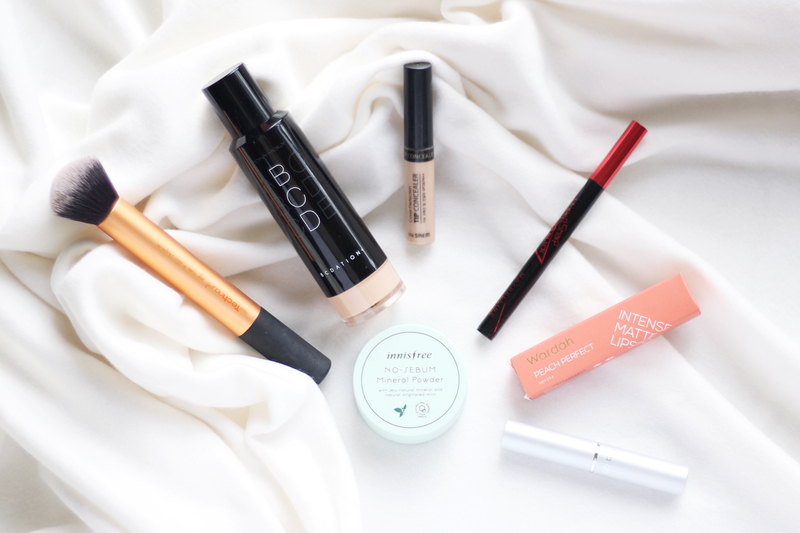 Simple yet very easy for an everyday look. You can add mascara or false lashes and bold lipstick color to give more impact on this look for a night out or special ocassion. 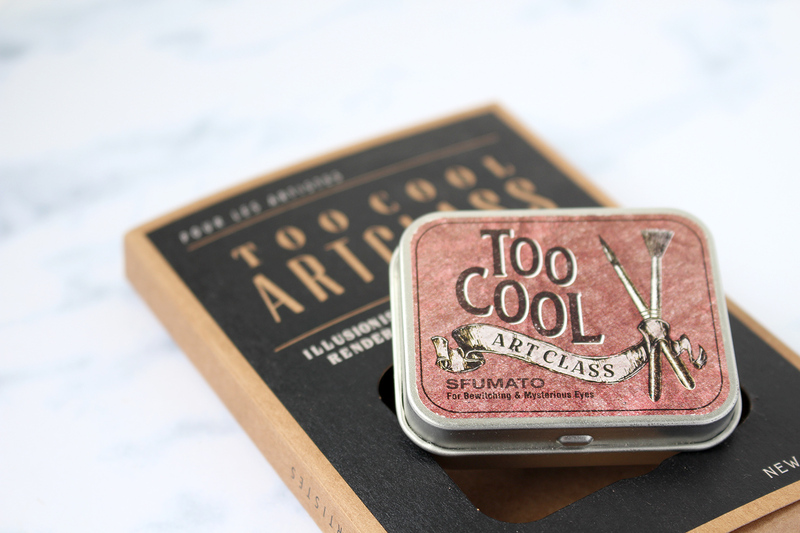 If you're interested with Too Cool for School Art Class Sfumato, you can buy them directly from here or browse through other interesting beauty product here. 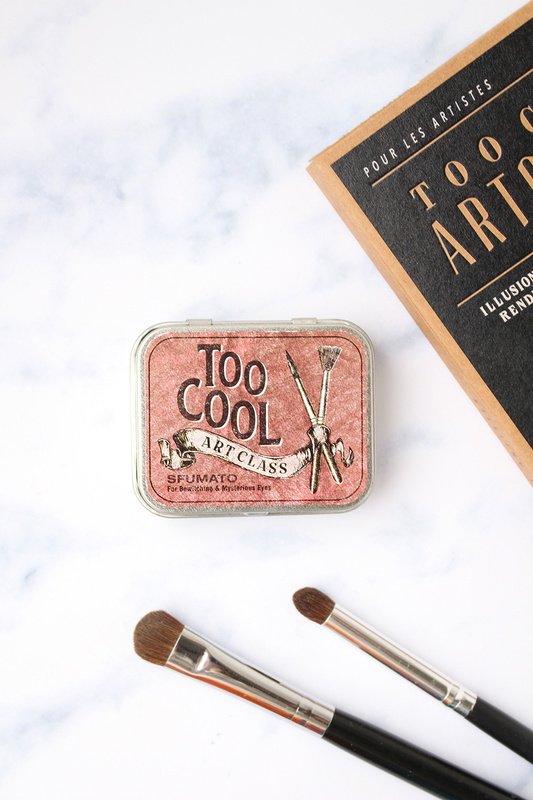 Have you tried on any Too Cool for School produtcs?